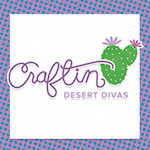 Can you believe we’re already at release week for the July release for Craftin’ Desert Divas? I must be having fun because time is flying! So, for Day 1 of Release week. Today design team members are showcasing “Jawsome”, “Ocean Friends”, and “Ocean Border Dies”. These will be available for purchase in the CDD shop on July 10th at Noon EST. Plus, this month there’s a release special: Tara will add some “surprise” crafty goodie to every order placed on or before 7/15/17. 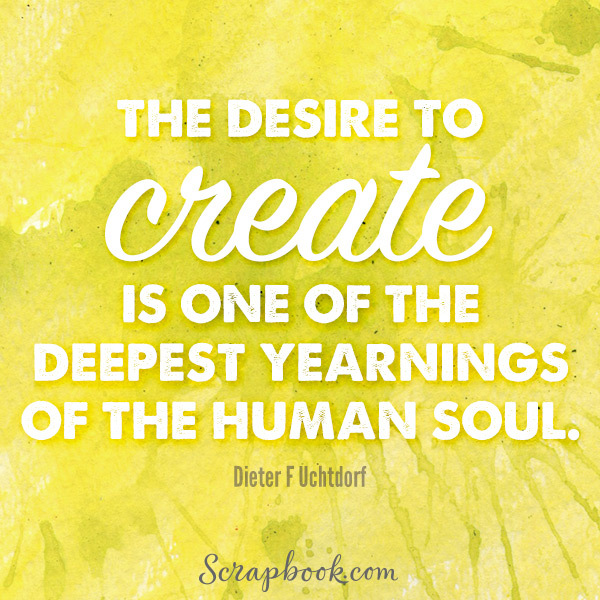 This could be a mini stamp, mini die or sequin mix. No request accepted. And, also remember to place your orders early as there is will be NO shipping from 7/13/17 through 7/19/17. Shipping will resume on 7/20/17. Okay, onto my card! I’m using the Ocean Friends stamp set and also the Ocean Border Dies to make this wonderful spinner card! For the spinning mechanism, I used a penny, but included in the Ocean Border dies is a spinner track and a little circle to use for the spinner. I used the circle to cut the hole in my panel. Then I attached the orca to a penny using foam tape. I just LOVE how this came out! I didn’t want my orca to spin freely. I wanted you to have to actually spin it. This way I can stage him how I want and then send it. For the background, I cut out a panel using the Fancy Frames Dies, then I used the Fossilized Amber Distress Oxide ink and the Spiced Marmalade Distress Oxide ink. I just LOVE these inks and the new colors are SO gorgeous! For the water part of my scene, I used the Faded Jeans Distress Oxide ink and the Broken China Distress Oxide ink. I die cut the water edge using the new Ocean Border Dies. I just love that stitched edge and these dies have it on both sides! I colored up my orca using Copics (colors listed below) and cut him out using my Scan N Cut machine. This is a new toy in my craft room and I’m in LOVE! For finishing touches, I used a Nuvo shimmer pen on the star fish, sprayed the water piece with a shimmer spray, and added sequins from two different mixes of CDD sequins. I just LOVE how this came out and I hope you do too! 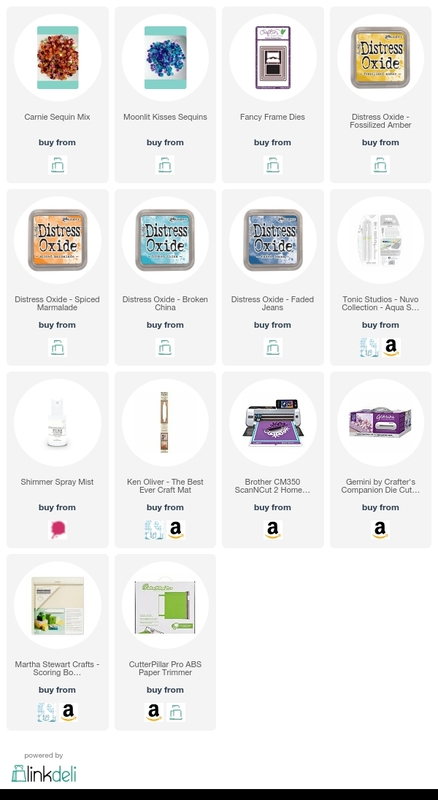 Some links below are affiliate links which means I’ll earn a small commission from the retailer at NO EXTRA cost to you if you purchase from these links. Disclaimer: I use affiliate links to help offset the costs of running this website. What this means is that when you click on a link and make a purchase, I'll receive a small commission (at no cost to you) from the retailer I'm affiliated with. Please note: At times, I have been given free stamps to help promote sales at the manufacturer or designer's website. All the contents of this site copyrighted © 2010-2017 to Lissa Beck, unless otherwise stated.